So I put together a group of great ingredients to make some frozen smoothie cups. The rest is super easy, and the recipe is not set in stone. 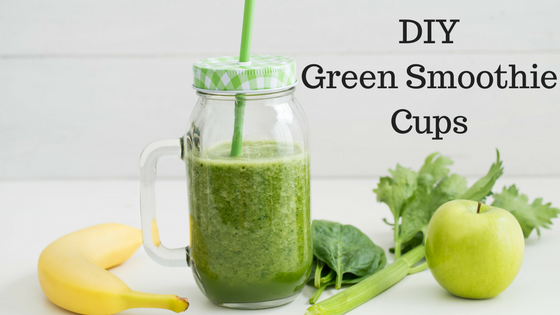 If there is a green that you love in your smoothie, add it in! 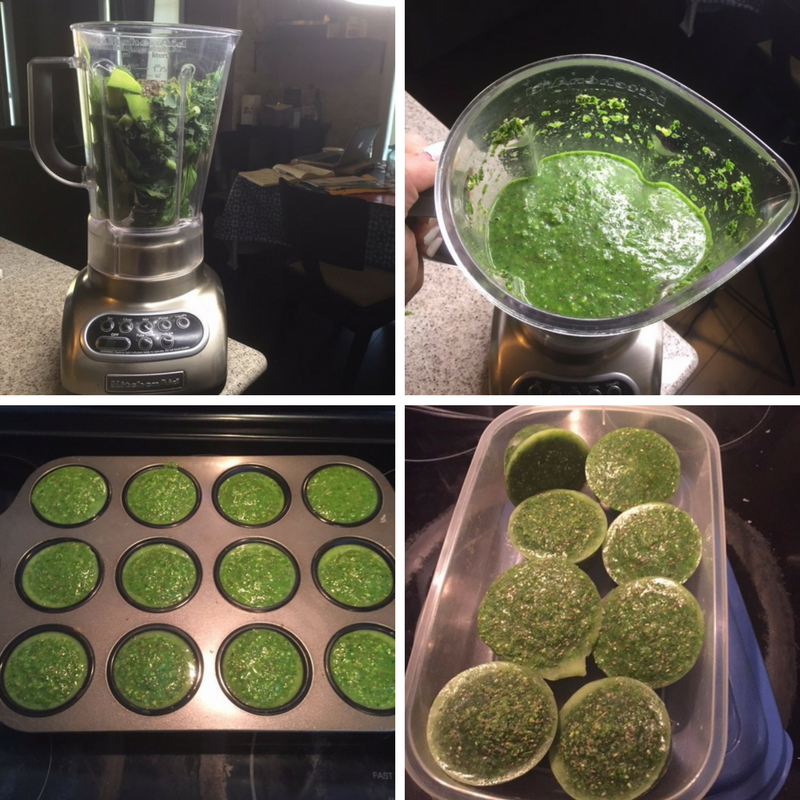 Blend it together, pour into muffin tins and freeze. 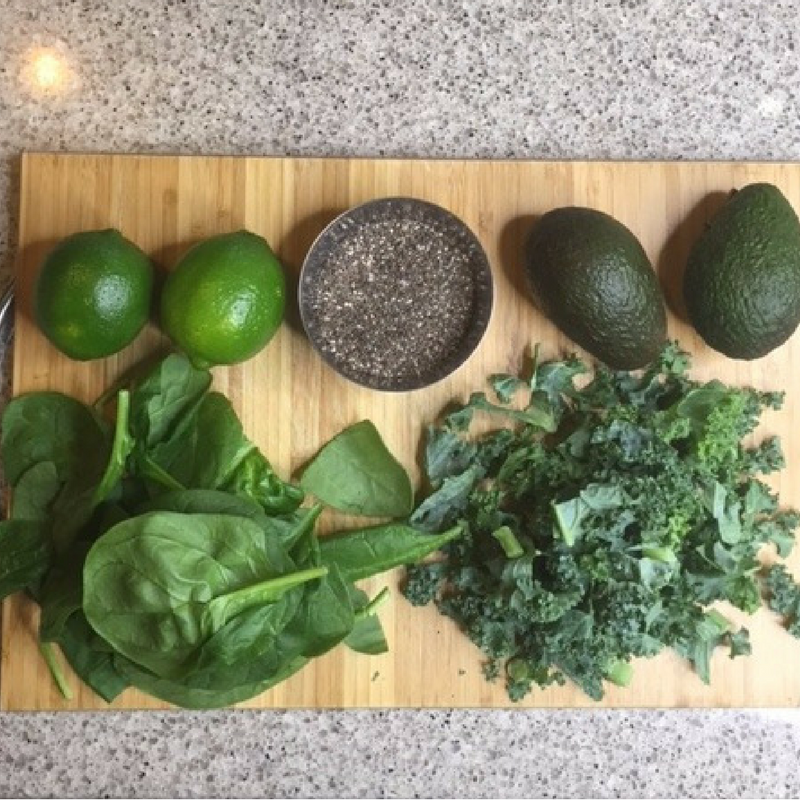 Now every time I make a smoothie, I have some green goodness to make it that much better. What is your favourite kind of smoothie?